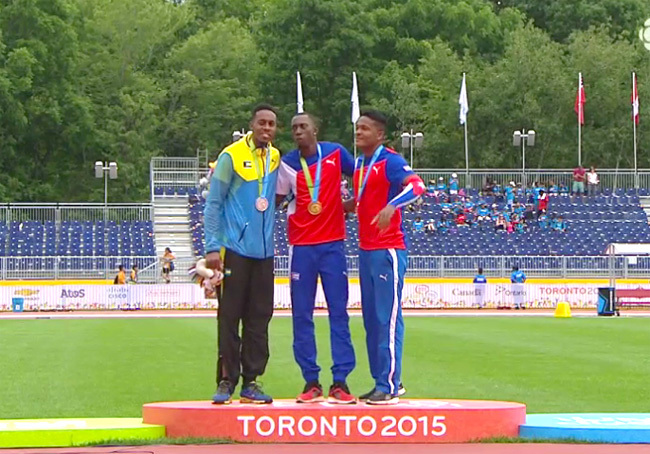 July 24th, 2015 - Pan Am Games Triple Jump finalists. Left to right: Leevan Sands (Bahamas), Pedro Pechardo (Cuba), and Ernesto Reve (Cuba). Leevan Sands has taken a silver in the Pan Am Games in Toronto, Canada in the triple jump with a season best of 16.99. 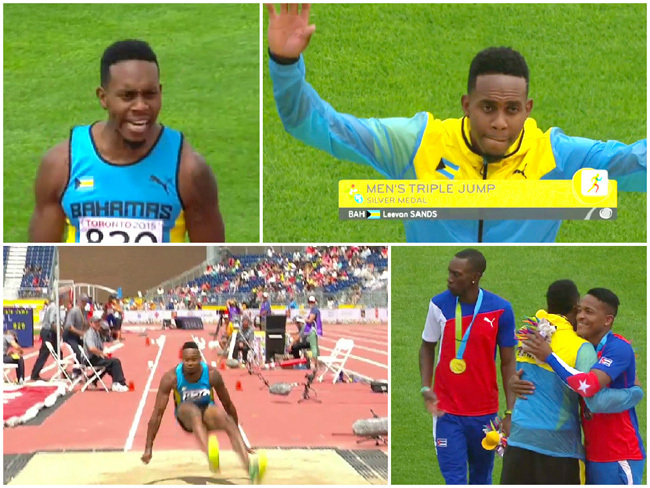 This is the fourth medal for The Bahamas and first silver at the games. Sands just traveled from Edmonton, Alberta where he won the triple jump at the Track Town Classic on Sunday, July 12th with 16.68m. His silver is a triumph, in particular after his arrival to the Pan Am Games was tarnished by an omission, despite him meeting qualifying standards. The Bahamas was only to have one male competitor in the sport. After some discussion, Sands was finally entered a few days later. The gold went to Pedro Pechardo of Cuba with 17.54, and bronze to Ernesto Reve also of Cuba with 16.94. Full results HERE.